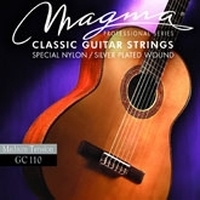 Magma Classic Guitar strings are specially designed for professional guitarists. Both the clear nylon trebles and the silver-plated wound basses are perfectly balanced to reach great volume, brightness and long string life. Avaliable in different tensions.